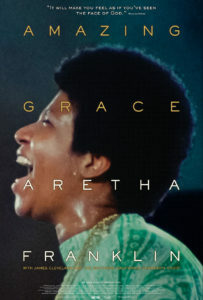 The highly anticipated documentary AMAZING GRACE, captures the live recording of Aretha Franklin’s album “Amazing Grace” at The New Bethel Baptist Church in Watts, Los Angeles in January 1972. 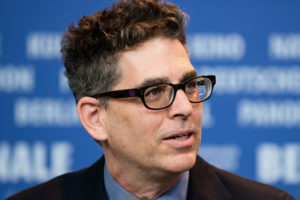 Producer Alan Elliot joins us to talk about the “making of” and the resurrection of this remarkable display of raw talent and consuming passion, the 47-year long path that Amazing Grace has taken and how its arrival in theaters fulfills Aretha Franklin’s dying wish. In 1972 Director Sydney Pollack (Tootsie, 3 Days of the Condor, Out of Africa) was inexperienced in shooting music documentary and shot without clapper boards snapping shut at the beginning of each take to help synchronize sound and picture in post-production. As a result of this mistake, even after months of work by experts, the 20 hours of footage couldn’t be synchronized with the audio tracks. The choir director from the Watts recordings was brought in to try to lip-read the reels, but after months of work, only about 150 minutes of footage had been matched with sound, none of it adding up to a complete, useable song. Deadlines passed as the “Amazing Grace” album came out in June 1972, selling millions with no synergy. In August, Warner Bros. officially wrote off and shelved the movie. Pollack never gave up on the project, but constantly had other commitments. In 2007, dying of cancer, Pollack finally handed the documentary project over to producer and music enthusiast Producer Alan Elliott. This entry was posted in Academy Award nominee, DOC/NYC, documentary, Film Festival, Film School interview, Music, Musical by admin. Bookmark the permalink.